Banned by Many Airlines, These Bulldogs Fly Private – NYTimes.com. beds for canines: many hotels have been ratcheting up the pet amenities. Channel’s “Dog Whisperer” to be the chain’s pet travel expert. read more. 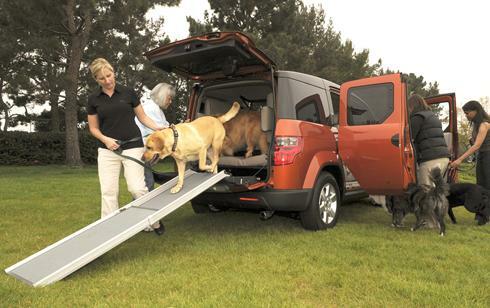 The new version of the Element is sort of a rolling Ritz-Carlton for the canine set. It features a built-in bed in the cargo area, a private electric cooling fan, a spill-proof water bowl and a mesh net to keep animals separated from people. Rubber floor mats are embellished with a dog-bone design.